Driving or attempting to drive without a license on Maryland roads without a license carries a maximum penalty of 60 days in jail and/or a $500 fine. A conviction for driving without a license will result in 5 points being assessed. This offense is not the proper charge where a validly licensed driver gets pulled over and is unable to produce their driver’s license for the officer. The proper charge in that circumstance is a payable ticket for failing to display license on demand which carries a fine of $50. 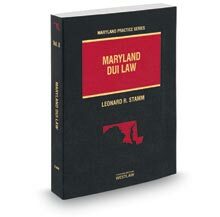 Maryland law requires that new residents to the State of Maryland eligible for driver’s licenses obtain their Maryland driver’s license within the first 60 days of being in Maryland. There are many important exceptions to this requirement including nonresident students and members of the armed forces. The Maryland Motor Vehicle Administration’s (MVA) website is a good resource for information regarding licensing requirements. Because driving without a license carries the possibility of incarceration it is what is referred to as a “must appear” citation. That means that this citation cannot be disposed of just by paying a fine. A driver how receives a ticket for driving without a license must go to court to resolve their case. There are many possible defenses to the charge of driving without a license. In Maryland, it is important to see a lawyer AS SOON AS POSSIBLE after receiving these charges, to fully protect your rights. Call 301-345-0122 for a FREE consultation.